Celiacs and vegans are lining up for Homeroom, a grade school themed restaurant in the Temescal neighborhood of Oakland that serves both gf and vegan mac n’ cheese. 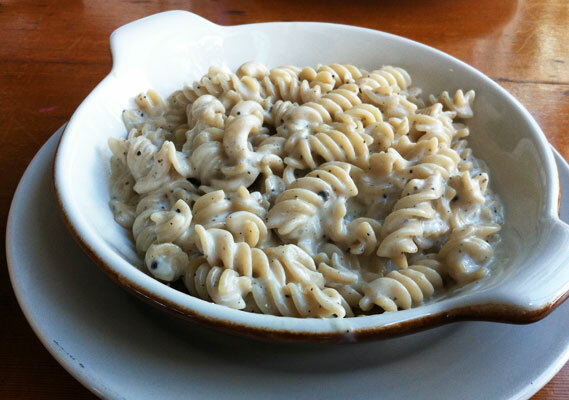 Using their special rice or quinoa pasta, Homeroom will boil up your gluten free noodles with their cheesy menu options such as aged Vermont cheddar, parmesan with cracked peppercorns, local chevre, or the classic all American (not all mac n’ cheese options are gf, so be sure to double check with your server). 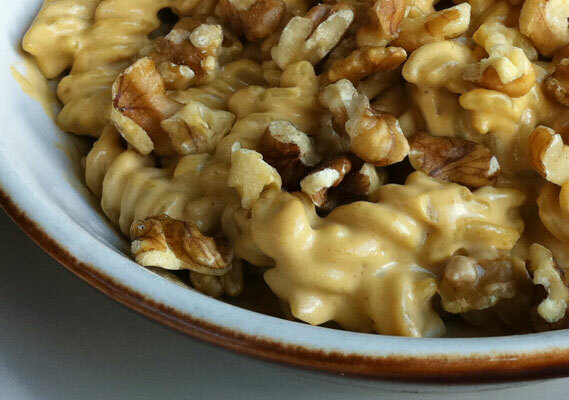 For vegans, a creamy roux topped with chopped walnuts is suitable to only wheat eaters as it contains a bit of soy sauce (there’s talk of switching to GF tamari). My vegan friends were pretty thrilled with their lunch. As for the gluten free version with real cheese, let’s just say I’ll definitely be back to Homeroom, a lot. Homeroom is doing an awesome job catering to the gluten free and vegan community. I can definitely see this place expanding upon their gf and veg options, offering gluten free beer parings, gf bread crumbs, vegan chorizo, and of course, the gluten free/ vegan cheese option would be great. OMG< GF Mac & C? I'm there! I have been wanting to go here but haven’t gotten a chance to yet. I can’t wait to hit them up. Sorry you had a lousy experience there, I’d definitely try it again, but go for the more traditional version without all the veggies to distract you from the cheese! If you’re ever in NYC, try a restaurant called SMAC- this puts any other gluten free mac n’ cheese, including my own homemade version to shame!